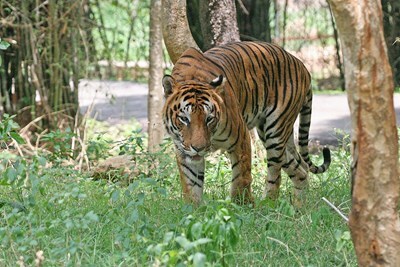 Bannerghatta National Park is situated 22 km south of Bangalore, Karnataka, India. The journey to the park takes nearly one and a half hours from Bangalore. This hilly place is the home for one of the richest natural, zoological reserves. The 25,000 acre (104.27 km²) zoological park makes this a major tourist attraction of Bangalore. This description uses material from the Wikipedia article on Bannerghatta National Park and is licensed under the Creative Commons Attribution-ShareAlike License (view authors).